Contact: Please feel free to contact me via the 'Send Message' server. From there, I will receive your message immediately through my e-mail. Upon arrival of the e-mail I cannot promise when I can reply back but I can assure you it will be soon. Please do not spam me. Thank you and have a nice day. Always warmly, Adam. My name is Adam and it is a pleasure that you are visiting my profile. I am a clarinetist, with excellent ability! My major is Music Performance with concentration in Clarinet, and Music Education with concentration in Voice and Applied Piano. I would like to study Music Technology and even Music Therapy. I went to Reinhardt University from 2009-2011. But no worries now, I am readmitted into the fall of 2012. Currently I reside with my boyfriend in my parents' home. I have a part-time job, I am involved with my church's worship group, and I am in a couple of community bands. Soon I will be taking music lessons again and taking classes before the fall. I have been practicing, playing, and performing now for 4 years. It has all been great and music is my life. 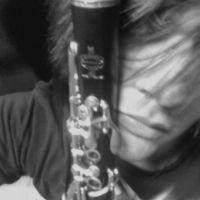 I also play Eb Clarinet but I do not own one, just yet. I love playing band pieces like marches, ballads, and of course the level 6 concert band/symphonic band pieces ;) I also am a tenor, and I love choral music. I love all classical and romantic music, and thoroughly enjoy playing in an orchestra. Due to my work schedule I may or may not be able to teach beginning clarinet lessons, but I can try to work around something if you would like to work with me. If you are interested please feel free to contact me via the 'Send Message' server! Thanks, and always warmly, Adam.